This Bandolier is handmade using fabric and elastic. 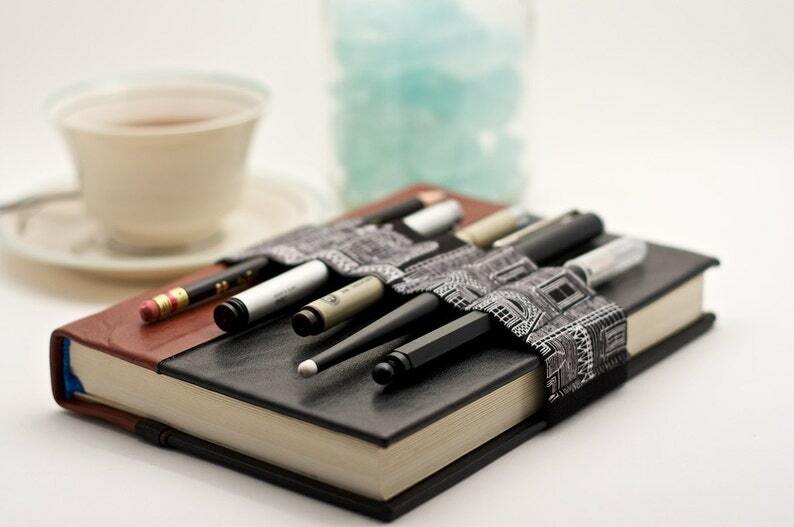 Unlike a pencil case the bandolier stays with your book so you have your pens and pencils when and where you need them. Travel light - draw often! Wonderful concept. I have several of these from this shop. Well made, lots of fabric choices and designed with function and fun. Love this piece! Have purchased multiple for gifts! Thank you for your amazing work!